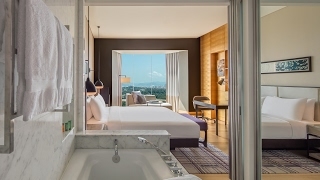 The ultimate lifestyle hotel, Hilton Kuala Lumpur showcases stylish rooms and suites, gastronomical excellence, an elegant spa, and magnificent event space in the heart of the vibrant KL Sentral area. Hilton Kuala Lumpur rooms are designed with comfort and convenience in mind; providing a place to unwind or to catch up on work. Work is easy in our Executive rooms, providing Executive Lounge access, a work desk and WiFi. Refresh in the bathroom with inset TV. Enjoy exclusive access to the Executive Lounge on the 33rd Floor with refreshments throughout the day and evening cocktails. Check emails or surf the web with WiFi access. Spoil yourself in a contemporary suite, with a separate living room, walk-in wardrobe, work table and dining area. 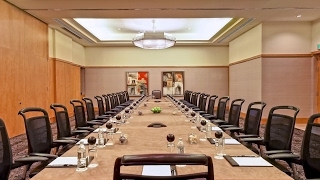 Hilton Kuala Lumpur, the award-winning flagship hotel boasts a fully-equipped business lounge and 14 meeting spaces for 10-1500 persons. 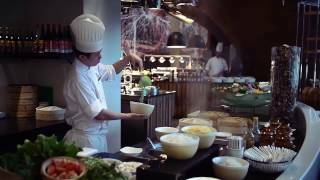 Hilton Kuala Lumpur is looking to redefine the art of dining with the introduction of innovative concept dining outlets, pairing great food with impeccable hospitality.